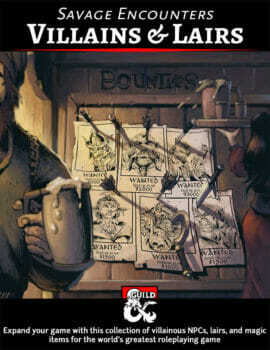 Inspired by stock art available on the DM’s Guild and DrivethrurRPG, and 111 pages long, Villains & Lairs is a D&D 5e supplement chock full of villains. You can see some of the art in this review. At its heart, though, Villains & Lairs isn’t about art, it’s about worthwhile and interesting NPCs. An opponent for your PCs doesn’t have to be a nameless mook just because they have a low Challenge Rating, especially while your PCs are low level. It’s the ability to put your hand on one of these baddies that Villains & Lairs is all about. If you’re running a game in Waterdeep then the supplement is especially on the nose as about a dozen of the NPCs have crafted connections to the city. Of course, you can adopt these Villains for any D&D 5e setting of your choice, including homebrew. The lairs in Villians & Lairs are secondary but still worthwhile. While the supplement may be inspired by character art, it doesn’t have the same cartographic origins, and while the maps in the book are good, the locations are far more straightforward. This isn’t a supplement that spends much time imagining original and remarkable venues for showdowns or encounters. It’s just useful to have locations with some of the villains as if you’re having to quickly pluck a baddie from a book to cope with unexpected development in your game, you might well benefit from pre-planned battle grids too. I think page 3 might be the most important offering in the whole 217-paged book. It’s on this page that you’ll find the table of contents. 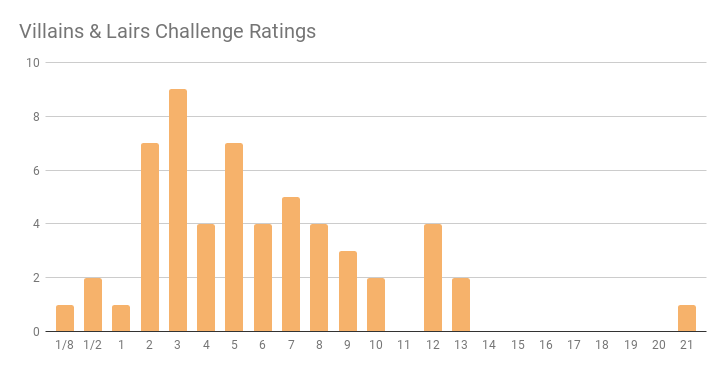 Here you’ll be able to see the challenge rating of the villain, and I imagine that’ll be the most likely starting point for any selection. You can see the ‘Type’ of villain which essentially boils down to the race of the NPC. 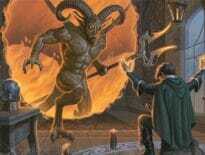 The lowest CR in the download is Snuggles, a beast, and the highest is a CR 21 Lich called Mizz’raghol. 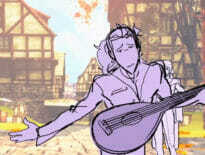 There are 56 different NPCs in the collection. That’s a lot to look through, and the table of contents also marks those twelve villains who come with a lair. Snuggles has one, Mizz’raghol does not. The chart below shows the breakdown of CRs. At a glance you can see the NPCs skew towards the bottom half of the range, most being below CR 10. That feels a good fit for most groups, though. It’s a tried and tested format for the villains in Villains & Lairs. It works well and is professionally presented. We begin with a name, something like Grug’not Gibbernose, then lead into a description and backstory (the reason why this NPC is a baddie) and tend to finish with a standard D&D stat block. Grug’not Gibbernose is a small humanoid (goblin) and neutral evil. In some villain files, we get extra details such as motives, goals and flaws. These are all convenient things for a busy DM to quickly know about an NPC they’ve needed to grab at short notice. They’re also useful suggestions and inspiration plots for a DM looking through her gaming material to adapt or weave something into a game at their leisure. I think in almost any other situation that the ratio of writers to pages would be disconcerting. The book would feel broken and disjointed. That’s not the case here, and I think that’s because each villain is self-contained within their chapter. There’s no need for overlap. Each NPC is distinct and separate, and the effect of having all those writers on board just helps to ensure that those 50+ baddies feel diverse and flexible. There maybe NPCs in here with explicit ties to Waterdeep but if you’re planning a Saltwater game, then I suspect you’ll find enemies in here to suit your needs. Overall? A handy resource. If you do find yourself having to stray off your planned notes, as a DM, often because your players are good at giving themselves quests (such as bounty hunting) then Villains & Lairs feels like an especially strong offering. 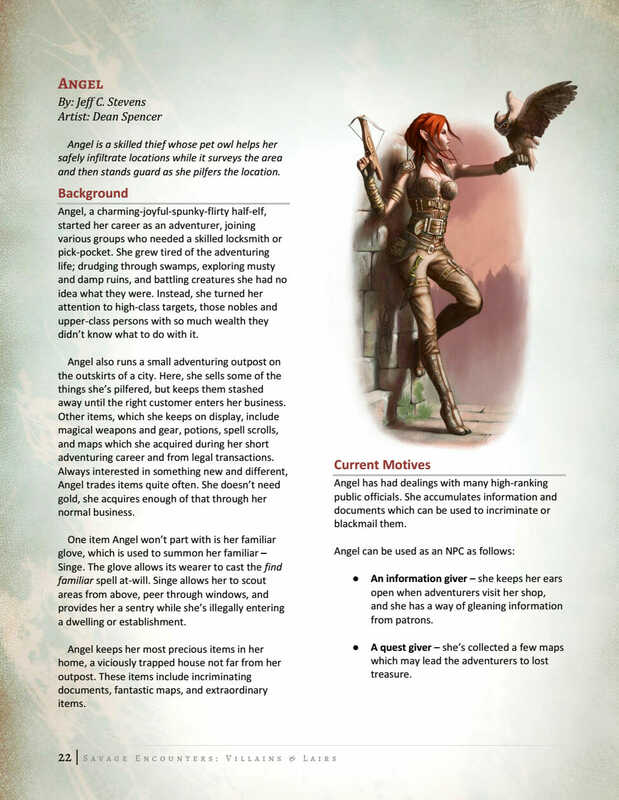 In situations like that, you’ll want an NPC of note, memorable enough to be the headline encounter of the night or series of games, even if it wasn’t the arch-baddie you’ve specially crafted for your scenario or campaign.